Hell it's been a long time coming, but boy was it worth the wait. Today we're delighted to be sharing news of the debut album from The Golden Dregs - the project of the magnificient Benjamin Woods. 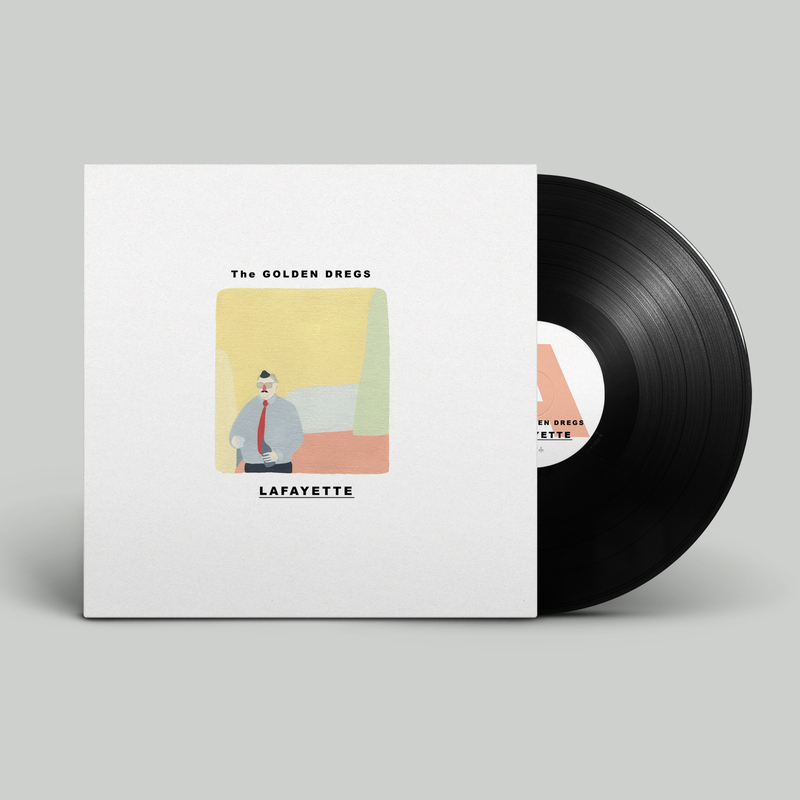 Though last year's single Congratulations hinted at what was to come, Ben has actually spent four years filtering Falmouth life into his first full length album - Lafayette. What plays out is a rich representation of small town living; from the churn of the rumour mill to the assortment of intriguing characters that only seem to exist far away from motorways, itsu chains and the relative anonymonity afforded by city living. With a musical approach inspired by 70’s Americana and jam bands - The Basement Tapes, The Grateful Dead and the Mussel Shoals scene - Lafayette is an album fit for longer evenings full of simpler decisions. Today we're sharing lead single Adaptation - though it might take 56 seconds for the first caramel coated vocals to kick in, you're never in doubt of where the song is headed - five minutes of jangly sun-summoning pop. In committing the album to tape, Ben roped in the help of some of the town's best musicians - the Cleave brothers (The Red Cords) form the rhythm section, with Samuel Stacpoole (Holiday Ghosts) on guitar and Jake Wilbourne (The Black Tambourines) on keys. The album was recorded by the sea (you can almost hear it) at the now closed Troubador Studios in a converted warehouse space. We're delighted to be teaming up with Cornwall based label Krautpop to be releasing the album on a lovely black 12" record (limited to 300 copies) as well as a small run of handmade CD packages. It's due out on Friday 25th May but you can pre-order the album right now. Anyone who orders in the first 7 days will receive an instant download of a Adaptation plus a (really good) Gorgeous Bully cover. Alongside the record we've also created a small booklet which comes with both CD and vinyl versions of the album. All artwork was created in collaboration with Jay Harper, probably our favourite Falmouth artist. Live dates to be announced shortly.